at 10:30 a.m. in our sanctuary. 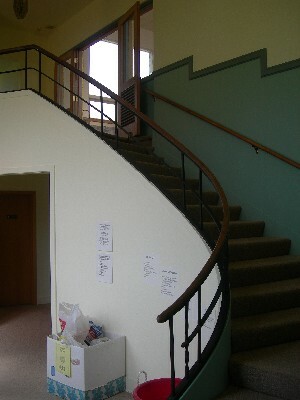 These are the stairs to our sanctuary. Don't worry... We have an elevator if you need it! We celebrate Communion (also known as "The Lord's Supper" or "The Eucharist") on the first and third Sundays of each month, as well as during other special occasions and services. Baptisms occur throughout the year. Learn more about our 'Beliefs' about Communion and Baptism by clicking on that page, or by contacting Pastor Kathryn. 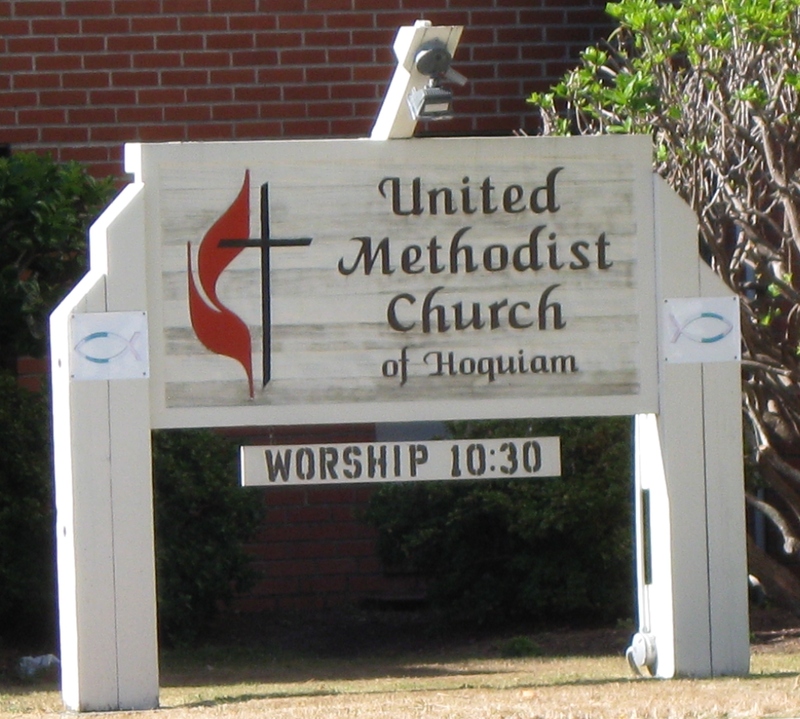 Our worship style is somewhat "blended" meaning that we utilize our denomination's hymnal, as well as other song books; we are always open to special music offerings. Come as you are, and you will be welcomed as the child of God that you are. Some people come in t-shirts, jeans, or shorts, others wear a collared shirt and slacks, and still others wear a tie. You will feel comfortable wearing whatever you want as you enter for worship. Worship is the primary time that we gather as a community of faith. Worship is a "two-way street," in that we give and receive. We come bringing ALL that we are and ALL that we have. We pray that our offering of ourselves in prayer is pleasing in God's sight. In Worship, we also experience God's presence anew. that we might, once again, encounter the Holy One. We connect with each other in meaningful ways when we gather to worship. We pray that God might reach us, and all of us who gather for worship, such that we leave as a transformed people of God. 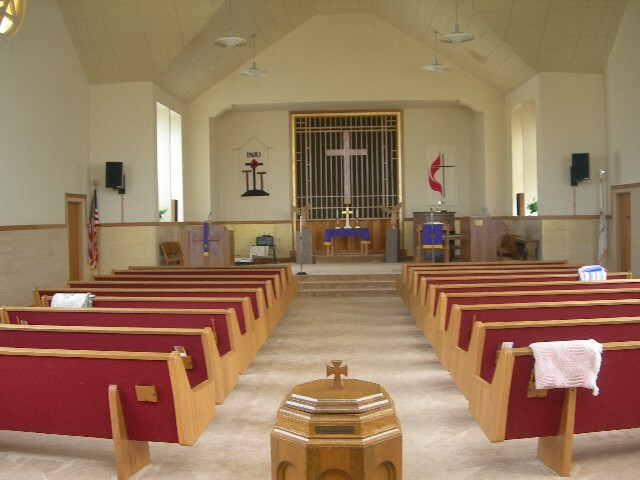 This is our sanctuary as it looks when vacant. On Sundays, the only thing missing is you!